Based on the long-term studies conducted in the Nakhchivan Autonomous Republic (2004-2017) and the literature data, the composition of Rosa L. genus was investigated and its distribution zones were specified. It has become clear that 34 species of hips are spread in the area that, 30 of them are wild, and 4 of them – R. centifolia L., R. chinensis Jacq, R. damascena Mill., R. multiflora Thunb. are used for greenery of parks and gardens in cultivated conditions. In recent years, as a result of the effects of climatic and anthropogenic factors on the territory of the autonomous republic, wild species of Rosa L. genus have been found to be in danger. Therefore, considering their rare and endangered species of Rosa karjaginii Sosn., R. nisami Sosn., R. sosnovskyana Tamamsch., R. rapinii Boiss. & Bal., R. pimpinellifolia L., R. tuschetica Boiss. have been put “Red book” of Nakhchivan Autonomous Republic, Rosa azerbaidzhanica Novopokr. et Rzazade, Rosa karyagini Sosn. və Rosa nisami Sosn. species have been put “Red Book” of Azerbaijan Republic and there have been shown protection ways. Askerov, A.M. (2006). Higher plants of Azerbaijan (Abstract of flora of Azerbaijan). Baku. Science, 2, 284 (in Azerbaijan). Czerepanov, S. K. (1995). Vascular plants of Russia and adjacent states (within the former USSR). St. Petersburg: Peace and Family-95, 992 (in Russian). Gadzhieva, G.G. (1969). Тhe dog rose (Rosa L.) of the southern slope of the Greater Caucasus (within the Azerbaijan SSR) and their economic significance. Baku, 24 (in Russian). Gadzhieva, G.G. (1982). The species composition and vitamin content of wild roses of the Nakhchivan Autonomous Soviet Socialist Republic. Proceedings of Azerbaijan National Academy of Sciences, Biological and medical sciences, 5, 20-25 (in Russian). Gadzhieva, G.G. (1983). Generis Rosa L (Rosaceae) subgen. Chamaerhodon Dumort. species in flora Caucaso. Novitates systematicae plantarum vascularium, 20, 121-126 (in Russian). Galushko, A.I. (1959). Generis Rosa speces novae e flora Caucasia. Notulae systematicae ex herbario Academiae scientiarum URSS, 19, 204-217 (in Russian). Galushko, A.I. (1962). New species genus Rosa L. of the flora of Central Caucasus. Scientists Notes Kabardino-Balkarian State University, 12, 27-33 (in Russian). Galushko, A.I. (1967). Trees and shrubs of the North Caucasus. Nalchik, 267 (in Russian). Ghrshanovsky, V.G. (1953). Ad cognitionem subsectionis Vestitae ceneris Rosa. Notulae systematicae ex herbario Academiae scientiarum URSS, 15, 109-116 (in Russian). Ghrshanovsky, V.G. (1954). Genus Rosa L. Flora of Azerbaijan. Baku, 5, 592 (in Russian). Ghrshanovsky, V.G. (1958). Roses. Phylogeny and taxonomy. Moscow, 497 (in Russian). Grossheim, A.A. (1952). Flora of the Caucasus. Moscow-Leningrad: Academy of Sciences of the USSR, 5, 744 (in Russian). Gurbanov, E.M. (1996). Plant world of Nakhichevanchay river basin. Baku: Baku State University, 248 (in Russian). Ibragimov, A.M. (2012). State studies of trees and shrubs, common in the territory of the Nakhchivan Autonomous Republic (Wild, cultural, introduced). News of Nakhchivan Section of Azerbaijan National Academy of Sciences. The Series of Natural and Technical Sciences, 8(4), 89-104 (in Azerbaijan). Ibragimov, A.M. (2016). Taxonomic analysis of trees and shrubs, distributed in forest ecosystem of the Nakhchivan Autonomous Republic. News of Nakhchivan Section of Azerbaijan National Academy of Sciences. The Series of Natural and Technical Sciences, 12(4), 100-109 (in Azerbaijan). Ibragimov, A.Sh. (2005). Vegetation of the Nakhchivan Autonomous Republic and its national economic importance. Baku: Science, 236 (in Russian). Ibragimov, A.Sh., Mamedov, G.M., Ibragimov, B.Sh. (1982). New species of the genus Rosa (Rosaceae) in the flora of the Nakhichevan ASSR. Botanical Journal, 6, 839-840 (in Russian). Isaev, R.M., Gadzhiyeva, G.G., Nuriev, R.M. (1977). Some dog roses (Rosa L.) from the flora of the Nakhichevan Autonomous Soviet Socialist Republic. Proceedings of Azerbaijan National Academy of Sciences, Biological and medical sciences, 1, 9-13 (in Azerbaijan). Iskenderov, A.M. (1975). 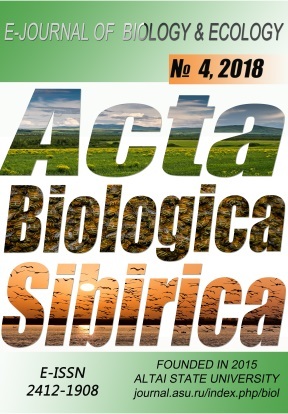 Bioecological features of some species of wild rose of Azerbaijan, their introduction and use. Baku, 22 (in Russian). Iskenderov, A.M. (2005). Notes on the origin of species R. foetida Herrm. and R.bicolor Jacq. Reports of the Academy of Sciences of the Azerbaijan SSR, 61(4), 113-119 (in Russian). Makhatadze, L.B. (1965). Dendroflora of the Caucasus (Wild and cultivated trees and shrubs). Tbilisi: Metsniereba, 405 (in Russian). Mammadov, T. S., Iskandar, E. O., & Talibov, T. H. (2016). Rare trees and shrubs of Azerbaijan. Baku: Science, 380 (in Azerbaijan). Mandenova, I.P. (1980). De speciebus monnullis generis Rosa L. florae Caucasi nota taxonomica. Notulae systematicae as geographicae instituti Botanici Thbilissiensis, 36, 92-102. Red Book of the Republic of Azerbaijan. (2013). Rare and endangered plant and mushroom species. Second edition. Baku: East-West Publishing House, 670 (in Azerbaijan). Saakov, S.G., Fisher, O.A. (1954). Genus Rosa L. Trees and shrubs of the USSR. Moscow-Leningrad: Academy of Sciences of the USSR, 3, 616-690 (in Russian). Sofiyeva R.M., Guliyeva X.H. (1970). Trees and shrubs of Azerbaijan. Baku: Science, 3, 284 (in Azerbaijan). Sokolov, S.Ya., Svyazeva, O.A., Kubli, V.A. (1980). Areas of trees and shrubs of the USSR. Leningrad: Nauka, 2, 243 (in Russian). Talibov, T. H., İbrahimov, A. M. (2013). The dendroflora of Nakhchivan Autonomous Republic. News of Nakhchivan Section of Azerbaijan National Academy of Sciences. The Series of Natural and Technical Sciences, 4, 60-77 (in Azerbaijan). Talibov, T.H., Ibrahimov, A.M. (2017). Biodiversity of Rosa L. Genus (Rosaceae Juss.) in Flora of Nakhchivan Autonomous Republic (Azerbaijan). SEAB-2017, The 3rd İnternational Symposium on EuroAsian Biodiversity, 633. Talibov, T.H., Ibrahimov, A.Sh., (2008). Taxonomic spectre of the flora of Nakhchivan Autonomous Republic. Nakhchivan: Ajamy, 364 (in Azerbaijan). Talibov, T.H., Ibrahimov, A.Sh., (2010). Red book of Nakhchivan Autonomous Republic. Nakhchivan: Ajami, 2, 676 (in Azerbaijan). Yuzepchuk, S.V. (1941). Genus Rosa L. Flora of the USSR. Moscow-Leningrad: Academy of Sciences of the USSR, 10, 709 (in Russian).